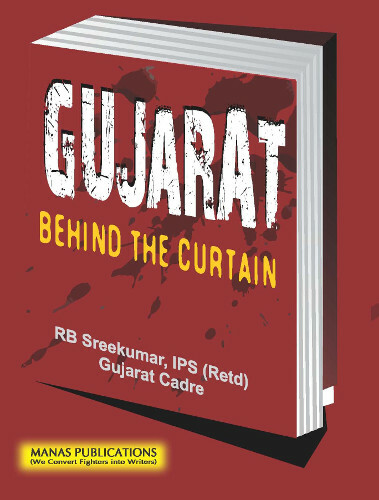 Gujarat’s former topcop RB Sreekumar in his new book, “Gujarat Behind the Curtain” has said that director-general of police (DGP) K Chakravarthy had told him how chief minister Narendra Modi had told officers in a meeting on the previous day evening not to take any action against rampaging crowd on February 28, 2002, the second day of the communal riots in Gujarat. 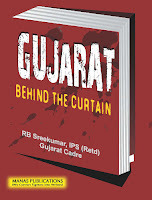 Sreekumar, who was promoted as DGP after his retirement following a court order, says, he met Chakravarty as a “perturbed, helpless and stress-ridden about widespread mass violence in the cities of Ahmedabad, Vadodara and many rural areas”, following the Godhra train burning incident on February 27, 2002 morning. Sreekumar says, Chakravarty “lamented that things were taking a bad shape and activists of VHP, Bajrang Dal and BJP were leading armed crowds and police officers, at decisive level on the ground, were not intervening effectively as they were keen to avoid crossing swords with supporters of the ruling party.” In 2002, Sreekumar served as additional DGP, Armed Units (ADGP (AU). Sreekumar states, the then DGP specifically identified those present at the CM’s meeting – PC Pande, Commissioner of Police (Ahmedabad city), Ashok Narayan, Addl Chief Secretary (Home Department), Swarankant Verma, the incharge Chief Secretary, Dr PK Mishra, Principal Secretary to CM (now he is the Additional Principal Secretary to the Prime Minister Narendra Modi) Anil Mukim, Additional Secretary to CM, and K Nityanandam, Home Secretary. Sreekumar notes, Kumar, now a retired Special Director of IB has figured in the charge sheet filed by CBI as accused for fake encounter killing of Ishrat Jahan and others. Interestingly, 13 years after the gruesome Godhra burning incident, no evidence of ISI hand has been found. Sreekumar further recalls that on February 28, 2002, when he was in office, Khurshid Ahmed (IPS, 1997 batch) Commandant of the State Reserve Police Force (SRPF), Headquartered at Saijpur Boga near Naroda Patiya, where 96 persons were killed by evening of that day, had informed him by phone that about 500 Muslim families threatened by attacking mobs were seeking asylum inside the camp, secured by compound wall and armed sentries. “Most of the 96 people killed in the evening in Naroda Patiya were reportedly from this group of Muslims who were denied asylum in SRPF campus. No action was initiated for defying written order of ADGP (AU) and no report was made. Reportedly, senior leaders pressurized Commandant for not permitting Muslims under attack by rioters inside SRPF campus”, says Sreekumar.